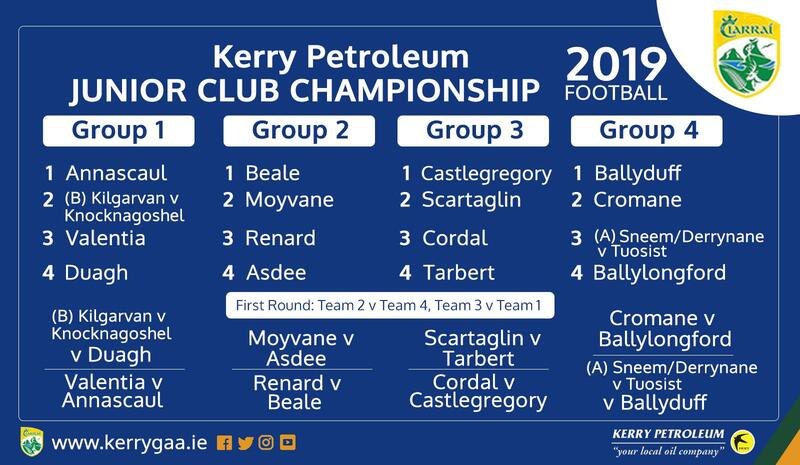 Congratulations to Knocknagoshel and Tuosist who won their Kerry Petroleum Junior Preliminary Round last Monday. Knocknagoshel overcame Kilgarvan 2-12 to 1-7 and Tuosist overcame Sneem/Derrynane by the bare minimum as the game ended 1-11 to 1-10. Tuosist now go into Group 4 and will be home to Ballyduff in Round 1. Knocknagoshel now go into Group 1 and will host Duagh in Round 1.